Lundstrum alumni and current students perform At the Ballet at the Inspiring Dreams Breakfast. Lundstrum Performing Arts launched a new event last week - the Inspiring Dreams Breakfast - with a two-part goal of sharing the Lundstrum story with a wider audience and raising funds to support our mission of creating opportunities through the arts. Nearly 200 people came out on an early fall morning to see a student performance, and hear from Emcee Jasmine Stringer and Lundstrum Executive Director Amy Casserly Ellis. Lundstrum Student Kiara Jones speaks at Inspiring Dreams breakfast, October 2016. "Growing up on the north side, I used to move kind of a lot but Lundstrum seemed to be the only thing that stuck around so I consider it to be a second home. When I first walked in the door, I had quite the attitude and was a typical hyperactive 2nd grader—well maybe I was more hyper than most. Over the years I learned lots of singing, dancing, and acting skills and also learned a lot about responsibility for my actions. I guess that’s called character. "I'VE MADE SO MANY FRIENDS AT LUNDSTRUM AND HAVE SEEN A LOT OF GROWTH IN STUDENTS - BOTH IN TECHNICAL SKILLS AND THEIR CHARACTER." I remember there was an upcoming annual Gala and I learned I couldn’t be part of it because of my behavior - that’s the first lesson I learned at Lundstrum: it doesn’t matter how well you might do something, discipline is key. Behavior and attitude play a huge role in your success. The next year, I got my act together and was featured in the Gala! As I continued my journey at Lundstrum, I began to improve and landed roles in Annie, Music Man, 42nd Street, and eventually got the lead role in Once Upon a Mattress. "LUNDSTRUM HAS POSITIVELY IMPACTED MY LIFE AND I'VE SEEN IT DO THE SAME FOR OTHERS." I can’t imagine my life without Lundstrum. They’ve given me the tools to become successful. Lundstrum has taught me confidence and how to build my skills in singing, dancing, and acting. They have pushed me to my full potential, taught me to keep my head up and always give 100%. 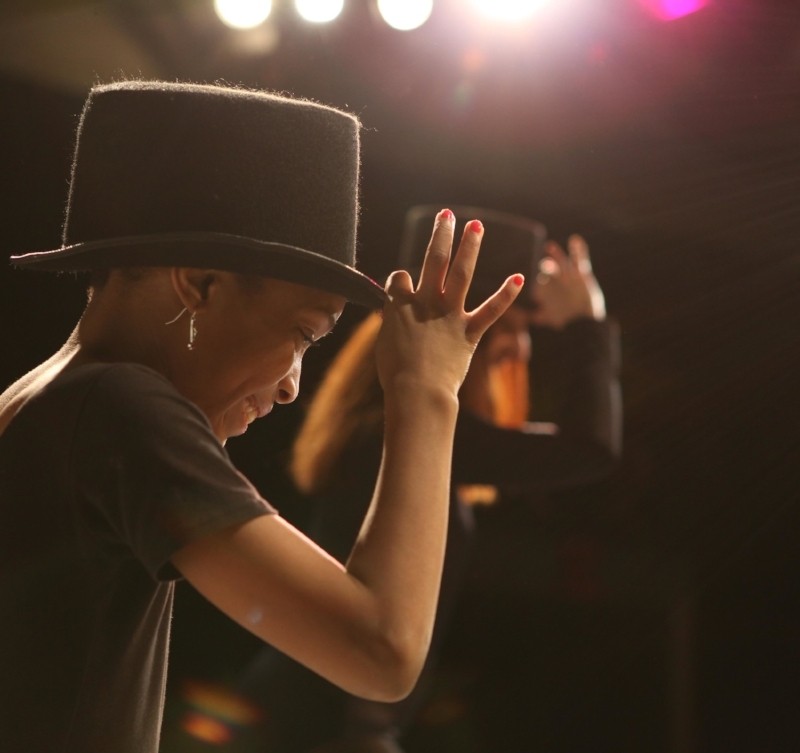 I know I will shine in whatever I do because of the tools given and lessons learned at Lundstrum Performing Arts." Thanks to all who came to the Inspiring Dreams breakfast, we are excited to announce that the event raised $53,300 in support of our mission of discovering talent, inspiring dreams and building community! Each and every gift is so important to us, because it supports young people like Kiara who are learning personal development through the arts. Lundstrum Performing Arts is truly a vital part of our Minneapolis community, and you are affecting such positive change, especially in North Minneapolis. Thank you for being part of this story and a catalyst for these children's dreams. If you couldn't attend the breakfast and still want to donate, it's not too late! So You Want To Be a Theater Major?